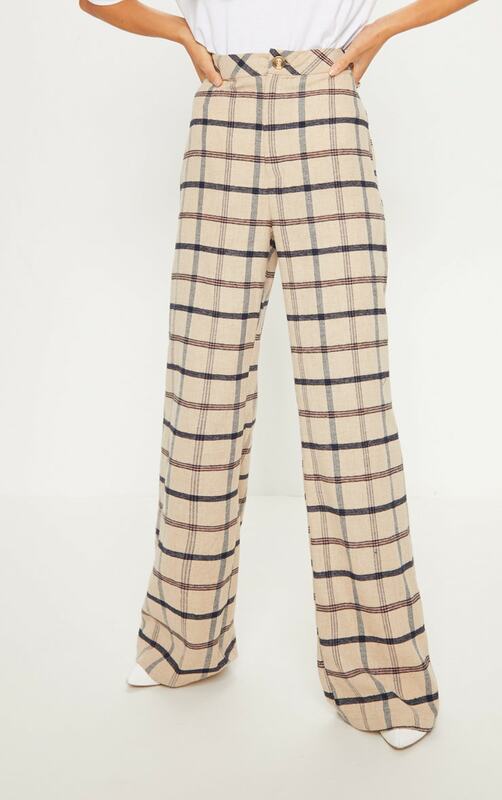 We are loving everything about these trousers for that off-duty outfit choice. 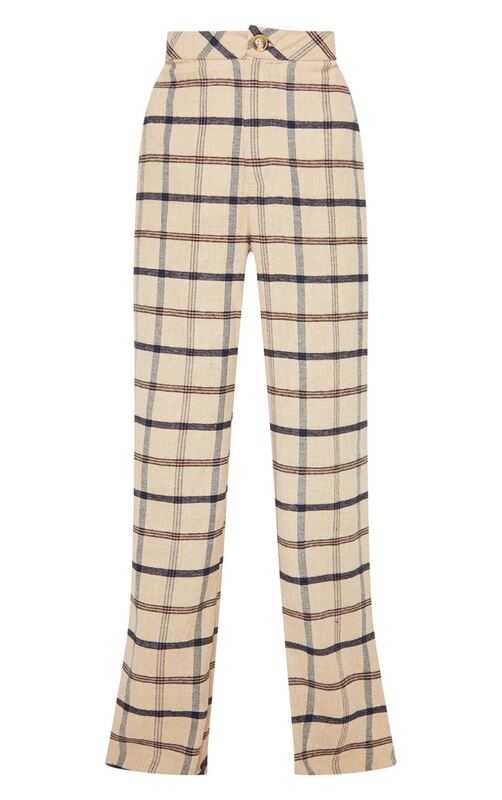 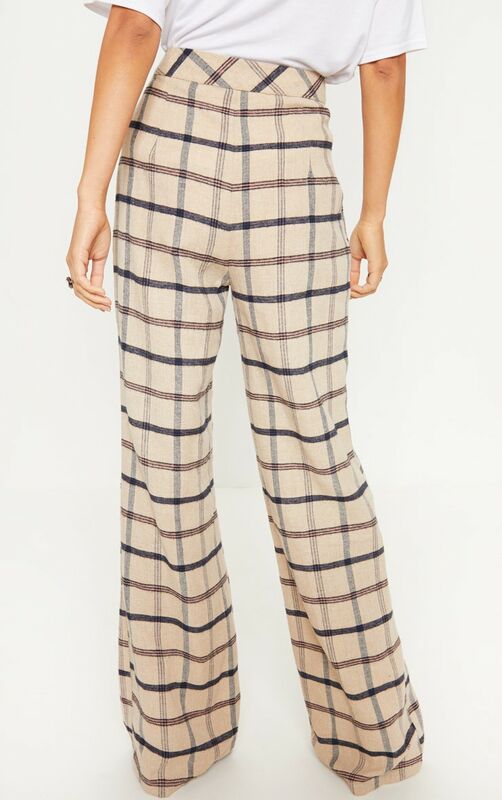 Featuring a stone check print material in a wide leg fit, you can't go wrong. 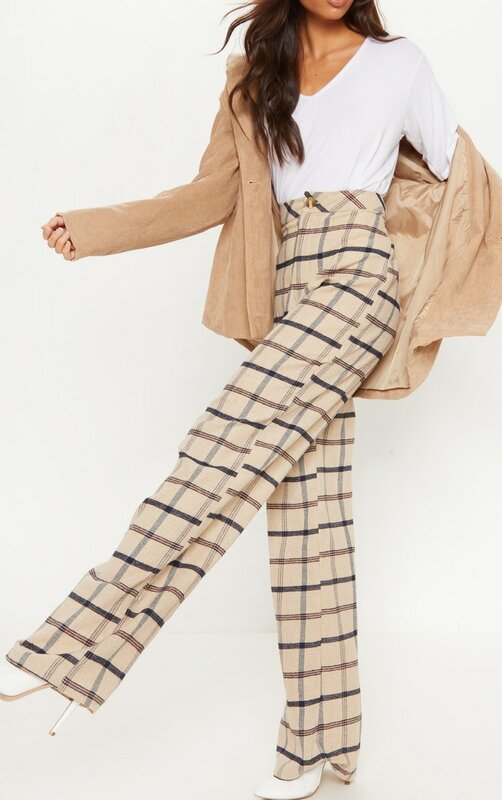 Team with a stone turtleneck and add chunky white sneakers for a cool look we're loving.